The decision in Yaiguaje v. Chevron Corporation by the Ontario Court of Appeal denied justice owed to some 30,000 Ecuadorian people grievously harmed by profiteering oil companies. The story is an example of how the routine application of formality in law, accompanied by the pulverization of the dispute’s setting, is designed to benefit the truly rich and astonishingly evil. When a court pronounces on a dispute, we expect the parties to accept the decision because we believe it will have been made by independent judges who apply pre-existing principles and criteria in an even-handed manner. The pre-existing principles are deemed to reflect social norms, values and needs. But, all too often, this ideal picture of the justice system fails to hold true. It does so when the principles on which a court hinges its decision do not make sense. In the Chevron litigation, the principles of corporate law were treated as if they were holy script. They should not have been. The fraught nature of the justice system also stems, in part, from the peculiar methodology used by the judiciary. It takes disputes out of their political, social, economic and cultural settings. Law and justice fail as the process pulverizes reality and the social relations in which the controversy arises are ignored. In a capitalist society, adherence to formalistic corporate law and the ignoring of its social context combine to privilege the status quo, that is, to favour capitalists. 1. In 1964, a subsidiary of Texaco began petroleum extraction operations in Ecuador with government approval. The explorations continued until circa 1990. 2. The health and cultural effects of the Texaco operations on 30,000 people have been disastrous. Billions of gallons of waste have left 880 Olympic pool-sized pits filled with solid petro waste; 1500 kilometres of roads are covered with crude oil; 60 billion gallons of toxic waste were dumped into waterways and 650 thousand barrels of crude oil spilled into the jungle and onto farmland. The consequences are: unusable water resources and a sky high incidence of childhood leukemia, spontaneous miscarriages, and skin diseases; tribal people have lost their way of life. These are the claimed factual bases for the legal action commenced in 1993. The litigation began more than a quarter of a century after the contaminating operations began. The Ontario Court of Appeal decision, the latest in this prolonged litigation came in May 2018, 25 years after the litigation was initiated and 54 years after the contaminating operations commenced. And still no finality, still no justice. Piaguage, a spokesperson for the injured people, said that “we felt rich, but the people [Texaco] who came to our Amazon were poor. Poor in thoughts, poor economically because they came to take away all our riches. Now we are poor. We don’t even have fish in the river or animals in the forest. We want justice, not money. We want to repair the damage” (emphasis added). 3. 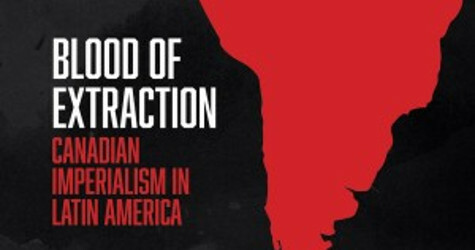 Philip Agee, the well-known CIA operator, recorded how the CIA helped establish a military dictatorship in Ecuador and that, within months of that having been done, Texaco confidently set-up its oil extraction operations. When it ceased operations and a class action against it was launched, Texaco fought to have the case heard in what it deemed the friendly legal environs of Ecuador. It did not want to be sued in the U.S. where it felt a jury trial presented it with a greater risk of being held accountable than it would be by a tribunal of Ecuadorian judges appointed by, and drawn from, the ranks of a long-time business favouring elite. In 2001, years later, this jurisdictional fight was still going on. In that year, Texaco was absorbed by another U.S. giant, Chevron Corporation. It now was the entity on the hook for any left-over Texaco liabilities and it pursued the Texaco strategy. In 2002, Chevron succeeded in having the law suit against it moved to Ecuador. 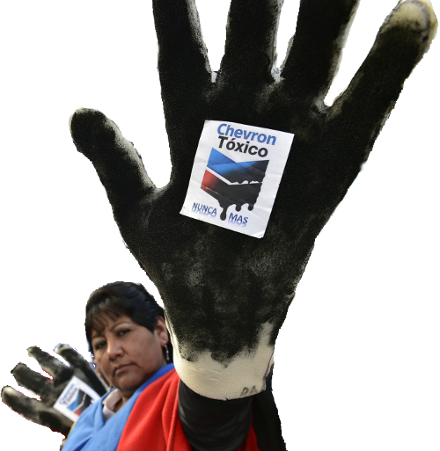 Texaco-Chevron assumed that the political milieu in which courts make decisions matter. While the judges were drawn from, and linked to, governments that favoured corporations and were, at best, indifferent to the needs of indigenous peoples, the judiciary was regarded as an institution that should be accorded respect. Texaco-Chevron had to assert the propriety of that foreign judicial system when trying to evade the U.S. court system and implicitly had promised to honour any judgment rendered by an Ecuadorian court. 4. The Ecuadorian political situation changed when a government led by Rafael Correa took office in 2007. It was hostile to U.S. influence and committed to attack poverty. It had an anti-corporate bent. In this setting, perhaps not coincidentally, Texaco-Chevron lost in an Ecuadorian court. Eventually, an award of $9.5-billion was made in favour of the plaintiffs. Inevitably, Chevron appealed, alleging, among other matters, that the judicial award had been obtained by fraud and bribery. The National Supreme Court of Justice of Ecuador, confronted by this and other arguments, upheld the award in 2013. By then, Texaco-Chevron had spirited away all its Ecuadorian assets. They were now resting in other sectors of the far-flung Chevron empire, available to Chevron Corporation, not to Ecuador. Given that Texaco-Chevron had accused its adversaries of playing dirty, it is pertinent to remember that Texaco-Chevron had made a promise to abide by Ecuadorian justice. Necessarily this meant that it implicitly was undertaking to meet any obligations that might be imposed on it. Yet, they had made sure that they would not be able do so if any were imposed. Corporate actors (and their legal advisors) are not easily embarrassed. 5. The plaintiffs now had to try to enforce the damages award in foreign jurisdictions, wherever they found Chevron Corporation to have sufficient assets. Initially, they succeeded in Argentina and Brazil but both those favourable decisions were overturned. In the meanwhile, in 2011, Chevron Corporation had opened another front in its fight-back. It argued that the original Ecuadorian award against it should not stand. It made this claim in the USA. Its main argument was that the plaintiffs’ American lawyer, Steven Donziger, had offended U.S. racketeering laws. Cleverly, Chevron Corporation did not sue Donziger for damages. This meant that his right to a jury did not arise. The original fear that a jury possessed of some of the facts about the catastrophic environmental despoilation would be too sympathetic to the plaintiffs still haunted Chevron Corporation. In the result, Lewis Kaplan, a judge sitting alone in a lowly New York court, ruled that the initial award of liability by a lower Ecuadorian court had been fatally tainted by Donziger’s attempted bribery and presentation of falsified evidence. On that basis, he decided that no one in Ecuador’s judiciary could be trusted to resolve the case against Texaco-Chevron objectively and fairly. Therefore, Kaplan decided, the existing Ecuador award should not be enforceable anywhere in the world. A Court of Appeals in New York upheld this ruling to the extent that the award could not be enforced in the USA. The corporations’ cynicism is clear. The U.S. corporations had fought for 9 years to avoid the U.S. justice. They had miscalculated: the Ecuadorian courts held them to account. This could not be accepted and they turned back to the U.S. judicial system, the very system they had shunned. They succeeded precisely because they had the court avoid the central issue. They were allowed to attack the Ecuador award in a crab-like manner. The plaintiffs were not permitted to put any of the bases for complaints into evidence because the case was narrowed down to a determination whether Donziger had engaged in misconduct, not whether Texaco had polluted and killed. 6. In part, of course, Chevron Corporation was also helped by the rather curious view Kaplan took of the evidence presented to him. He relied, quite heavily (although his supporters try to dispute this) on the evidence of Guerra, a former Ecuadorian judge. Guerra was a former judge because he had been disbarred. He testified that Donziger and his allies had offered a bribe of $300,000. In a subsequent arbitration hearing he acknowledged that that testimony had been false. He had lied. This should throw some doubt on the way the U.S. rulings should be seen both in the court of public opinion and, indeed, in any Canadian court of law that becomes seized of this matter in the future. All the more so since it is known that former Judge Guerra received large gifts from Chevron to help him and his family relocate to the USA. One estimate is that he may have benefitted to the tune of as much as $2-million. If the Ecuador decisions are tainted, the U.S. ones do not look all that pure either. 7. The now seriously handcuffed plaintiffs had to find a jurisdiction in which Chevron Corporation has assets and that was willing to entertain the idea that those assets should made available to pay off the amounts owed under the Ecuador judgments. This is how they came to Canada. There is a Chevron Canada corporation and it has assets. Chevron Corporation, of course, immediately took the point that no Canadian court had jurisdiction to determine the dispute between it and the Ecuador plaintiffs. 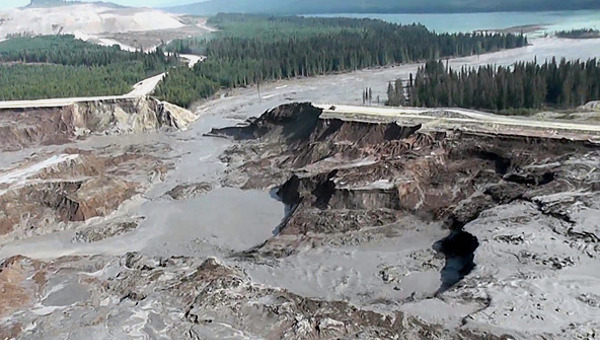 In 2015, the Supreme Court of Canada dismissed this Chevron Corporation claim, sending the issue as to whether the plaintiffs had a substantial case back to trial. But, it did fire a warning shot, observing that its decision did not mean that Chevron Canada’s assets must be made available to the plaintiffs. This was yet to be determined. 8. It is three years later. We now have a trial and an appellate court decision in Ontario. Both decide that Chevron Canada’s assets are not to be used to compensate the Texaco-Chevron victims. Their argument is based on a rigid adherence to the formality of law. Law pretends that any properly registered corporation, such as Chevron Canada, is a totally distinct person, one that is a stranger to its creators, parents, siblings and operators. Chevron Canada, in legal terms, has nothing to do with Chevron Corporation. It and its assets cannot be made responsible for any debts or obligations incurred by Chevron. 9. The Ontario judges were well aware that the U.S. parent company, Chevron Corporation, indirectly controls 100% of the shares in Chevron Canada. They were well aware, therefore, that the parent Chevron Corporation can, and intended, to benefit from its Canadian’s off-spring. It is true that, in a corporate law sense, provided it is narrowly interpreted, the decision made some sense. In legal, technical terms, shareholders do not own the assets of the corporation in which they invest; they have no right to come onto the corporation’s premises without permission; they have no right to enforce any contracts it has with others; they are not responsible for any debts the corporation owes; they cannot directly deploy the corporation’s assets. This set of rules underscores that shareholders are legally separated from the corporation in which they invest and thus it provided a basis for the legal ruling of the Ontario courts. But, there are other corporate law principles that counter this logic. In addition to the limitations on shareholders’ legal rights vis-à-vis the corporation, they also have legal powers that tie them intimately to the corporation in which they invest. They have a right to profits the corporation makes; they have, and do use, a right to have a say should the corporation want to merge with another or take-over another; they have, and do use, a right to withhold approval of a corporate decision to sell substantially all the assets it owns. They have, and do use, a right to vote on who should be directors and controlling decision-makers in the corporation; they can, and do, give the directors incentives to do what shareholders want them to do and have, and do use, the right to get rid of directors if they do not do this to the shareholders’ satisfaction. Shareholders have ultimate control over the corporation and exercise it for their benefit. Our purist judges know this. They know that the parent corporation with its 100 per cent control over all these matters may, and would not hesitate to, use that control to ensure that Chevron Canada delivers the goods for it. How can they keep a straight face when they say that Chevron Canada is too unconnected to its parent which controls its assets? Does it pass the pub test for them to hold that the Chevron Canada’s assets cannot possibly be treated as if they were the parent’s assets to do with them as it likes? They can only be so sanguine in their rejection of common sense and practices by being formalistic, by pretending that they have no choice, by pretending that to ignore reality is mandated by legal rationality. This should offend the public. And that is not the only pretence in which they indulge themselves. 10. The judges are aware that Chevron Canada is an integral part of a world-wide enterprise, commonly known as Chevron. They note that there are seven subsidiaries between the parent and Chevron Canada that allow the parent to own its shares in Chevron Canada indirectly, but firmly. They also know, but do not say, that there could have been no Chevron Canada if it had not been formed with the parent corporation’s consent. There would have been a legally valid objection to any truly independent corporation using the name Chevron as part of its brand. In fact, Chevron is like many, in fact most, large enterprises, a vast array of corporate entities, legally separate but functionally tightly linked. Let us get it from the horse’s mouth. When the Ontario Court of Appeal ruled that Chevron Canada is legally totally separate from its U.S. parent and that, therefore, its assets cannot be used to pay its parent’s debt, a triumphant press release celebrating this success was issued by the parent’s head office in San Ramon, California. It began as follows: Chevron Corporation is one of the world’s leading integrated companies. Through its subsidiaries that conduct business worldwide, the company is involved in virtually every facet of the energy industry (emphasis added). Chevron and its lawyers know and acknowledge (but not in court) that Chevron Canada is an essential part of Chevron Corporation and its integrated enterprises, including those in Ecuador. Their win is based on an omission, on the basis that this signal on-the-ground fact is to be ignored by law. Sober, independent and non-partisan judges agreed to this hocus pocus without a murmur. To them, economic reality did not matter; the letter of the law did. If this just happened to suit single-minded private profiteers, so be it. As President Trump might say, how sad, how very sad. 12. As the judges hang on to the idea that each corporation, whether part of a group or not, is a separate and distinct entity, no one else acts as if this is true. Large enterprises typically use the corporate group form in which the various parts of the business are carried on by a number of subsidiary companies whose shares are controlled by one or more holding companies. Often hundreds of subsidiaries are scattered around the world, pursuing the objectives of one enterprise. As seen, Chevron Corporation proudly proclaims the size and might of its interconnected web of corporations. Managerial and financial practices in these groups often cut across the established rules of corporate law that require discrete decision-making. This is necessary to make the organization work as a unit. Similarly, accountants and lawyers adapt their practices to give these complicated arrangements the tools they need to function as a unit. When policy-makers measure the level of competition they treat these organized groups as one. Thus, when two large groups, each constituted by numerous supposed independent corporations, Argus and Power, threatened to merge or take each other over, alarm bells rang around Canada. The ensuing commission of inquiry, The Bryce Commission, reported on the level of competition in Canada and found it wanting because of the dominance of each industry by a small number of corporate groups. The integration of many corporations allowed a few enterprises to exert great economic, political and cultural influence, way more than each of the corporations in such a group could have done if it was truly a single, separate entity. Oligopolies and near monopolies are a danger to our liberal market political economy. Eg., three groups, Kraft, Nestle and Pepsi, dominate world-wide food production; Airbus and Boeing control aircraft building; Microsoft, Sony and Nintendo hold sway over the video console market; six movie studios reap 87% of all motion picture revenues; four wireless firms control 89% of the cellular market and four companies control the U.S. airline industry (Bittle, Snider, Tombs, Whyte). This is how large business functions. The evidence that, functionally, legal separate corporations that are members of a group are not independent, is all around us. This is something that troubles policy-makers but, apparently, not judges. For judges to hang on to the separate and self-standing status of a single corporation when it is a component of a large group created to serve the goals of a single enterprise is perverted. This is what the Ontario courts have done. 13. Some of the advantages of having supposedly separate corporations subjected to the needs of an overarching enterprise is that the separateness can be used to pretend to enter into transactions within the group as if they were transactions between strangers when, in fact, they are not. Prices, invoices, services, dividend allocations, and the like, can be adjusted with ease to allow cost systems and profit distributions that defeat market expectations and tax authorities’ objectives. Inevitably, the actual uses made of the corporate form when embedded in a group such as Chevron, have caused special practices and rules to be developed to deal with ‘related transactions’ and ‘tax minimization’ schemes in order to blunt their undesirable impacts. The courts know this and yet this had no impact in the Chevron litigation. As well, the judiciary’s insistence that there should be no challenge to the separate personhood of each corporation has permitted tax avoiders to hide their identity and their assets effectively from revenue agencies. The Luxemburg Papers, the Panama Papers, the Paradise Papers, are all exposes of the facility made available to the powerful and wealthy hiding behind the formalism of corporate law. The insistence on not looking behind the artifice of corporate personality exhibited by the Ontario courts in the Chevron litigation, explains why Canada does very poorly when it comes to rating the countries willing to identify the beneficial owners of corporate instruments designed to hide ill-gotten gains or avoid tax payments. World-wide, Canada ranks 70th when it comes to give governments the capacity to get access to corporate information. It is not something of which we can be proud. 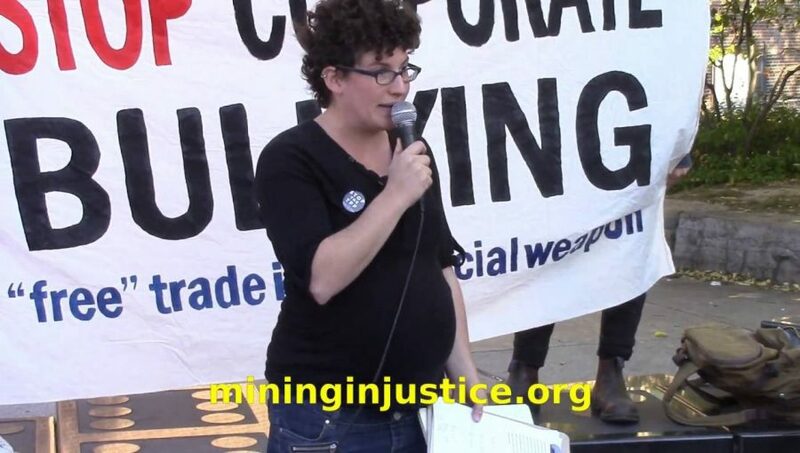 When the judges say, as the Ontario ones have done in the Chevron litigation, that harm would result should they treat members of a corporate group as being part of a whole and responsible for the whole, they are willing to ignore all the anti-social outcomes that their formalistic reading of the law inevitably produces. 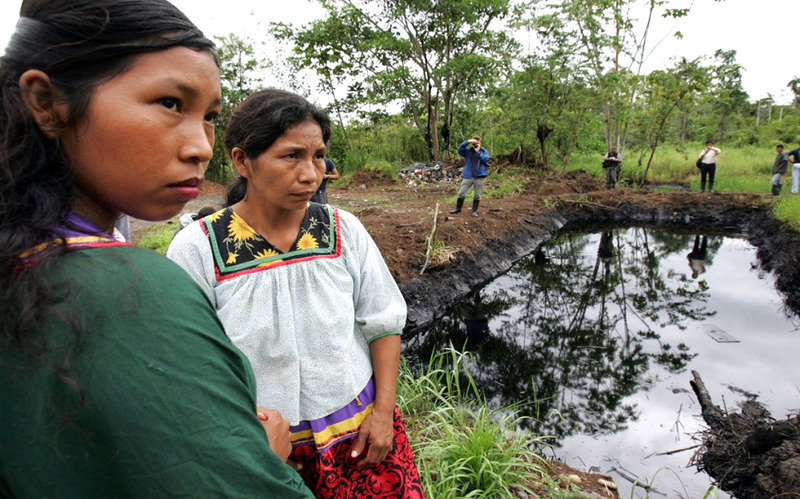 They are ignoring social reality and, in the case of Chevron, endorsing injustice. 14. Of course, the judges should be seen as sincere when they act on these illogical premises. Their many years in practice where they acted as if each single corporation was a person separate from all others, including their creators, managers and investors, predispose them to believe that a departure from these norms would be catastrophic. More, their narrow training as lawyers likely tells them that it is not for judges to change the law. This should be left to elected politicians. Neither argument holds up. The first is countered by the arguments made above to the effect that, functionally, many makers and shakers in our economic world do not think of the corporation as a separate person, but as an instrument that can be bent to their will. The second, to the effect that judges should not make laws, is often claimed to be a truism at the same time mostly everyone knows that judges frequently make new laws. At the time of writing, the appointment of Judge Kavanaugh to the Supreme Court of the U.S. is controversial. Leaving aside all the tawdry facets of the dispute, one of the reasons for objection to this appointment is that this judge is known to favour fundamentalist views. It is thought that he might object to the right of a woman to demand an abortion. This right is the result of a prior judicial decision that reversed a previous judicial determination. That is, the fear is that Kavanaugh may use his judicial power to change a law that previous judges had created by changing the law. Or: for a century or more, workers could not sue their employers when injured at work because they were said to have voluntarily agreed to assume the risk of injury. Then the courts changed their mind about this assumption which denied workers the right to sue. Or: for some 30 years after the embedment of the Charter of Rights and Freedoms into the Canadian Constitution, the judges had held that the freedom to associate did not include the right of workers to bargain collectively. Then they changed their mind, saying that the preceding judges’ statement of the law could no longer be taken seriously, that the law must be changed. Workers then thought that, following through on their own logic, the courts would favour the right to strike. But the courts have held that they do not do so, yet. Hopefully, they will soon change that finding. The point is they can, under the guise of being mere interpreters, change the law and set aside precedents. All they need to do is to want to do so; the rest is technical finessing. The proof is in the eating of the pudding. Thus far, in the Ontario Chevron litigation, 3 judges have held that the assets of Chevron Canada cannot be used to settle Chevron Corporation’s obligation to the 30,000 Ecuadorian plaintiffs. Legal precedent is sacrosanct and cannot be tinkered with by mere judges, these three said. But, one judge in the Ontario Court of Appeal, Justice Nordheimer, as able as the others, steeped in the same lore as the others, thought there was wiggle room and found that it was appropriate to read the existing precedents so as to allow the use of a subsidiary’s assets to pay off the debts of a parent corporation. He was willing to read the law differently. He was willing to do justice to the plaintiffs even if it meant he had to depart from the formal reasoning his brethren on the bench strenuously defended. It is all about political willingness. Those who insist on formality need to ignore the surrounding circumstances of the dispute before them. In general, and in this very case, this will favour corporate capitalists over anyone else. This is a political stance, whether it is consciously adopted or not. The pretence that ‘we are just applying the law’ or, ‘the devil makes us do it’, should not be allowed to obscure the political nature of judicial decision-making. The way this worked in the Chevron case brings the legal politics that privileges capitalism and capitalists into focus. (x) There is no doubt that, as noted above, Chevron Corporation through its 100 per cent shareholding in Chevron Canada was in a position to control, and benefit from, Chevron Canada’s activities. Similarly, inside Texaco, there were movers and shakers and investors who controlled its operations and profiteered from them. They are now hidden from view and sheltered from accountability by the law’s willingness to let them manipulate the corporate form and corporate groups. They built in the risks of engaging in profit-seeking activities and then profitted from them, largely at the expense of outsiders. This is what the Ontario Court of Appeal acknowledged when it wrote: “This is a tragic case. 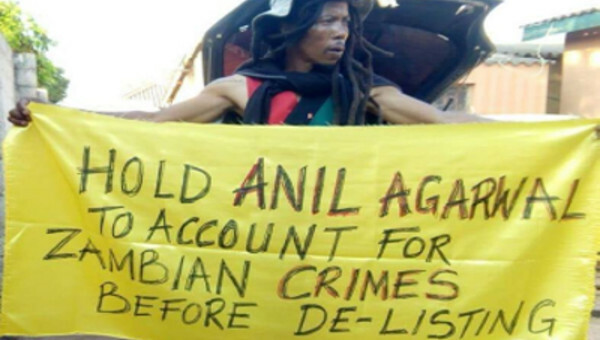 There can be no denying that, through no fault of their own, the appellants have suffered lasting damages to their lands, their health, and their way of life” (emphasis added). This central function of the corporation, namely, risk shifting, is enabled by the law’s stubborn adherence to the fiction that each corporation is a person separate from all others in the universe. The impacts are gobsmacking. A United Nations report shows that one third of the profits of the leading 3000 companies in the world would be lost if they were forced to pay for the use, loss and damage to the environment they cause. Their profits – which go to flesh and blood and largely hidden controllers – come at the expense of the rest of us. When the judges say that it is important to the logic of law and the good of the economy to consider the corporate form isolated from the way a corporate group uses it and distanced from the social and material operations of that corporate group, its expression of solicitude is Janus-like: it asks us to accept the hardship of faultless victims and to enjoy the bounty reaped by the avaricious. Harry Glasbeek is a Professor Emeritus and Senior Scholar, Osgoode Hall Law School, York University. 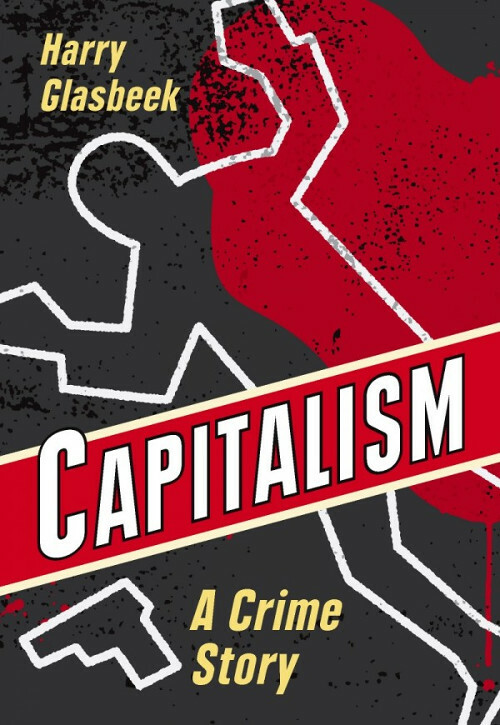 His latest books are Class Privilege: How law shelters shareholders and coddles capitalism (2017) and the follow-up, Capitalism: a crime story (2018) both published by Between the Lines, Toronto.